(Bratislava, Slovakia) The first Meeting of the Assembly of Members so called the Conference of Major Superiors of Slovakia (Konferencia vyšších rehoľných predstavených, in Slovak KVRPS) took place on 30th January 2019 in the Salvator Center in Bratislava. Religious from different communities operating in Slovakia chose their new leadership and approved the documents related to the workings of the Conference as well as its organizational structure. The Conference is made up of 76 members from 73 Religious Institutes (45 of women and 28 of men). All total 63 members were present, and they chose a new Executive Committee for a three-year period. Father Václav Hypius CSsR is elected as the President of the KVRPS and Sister Petra Sičákova SSNPM as the First Vice-president. 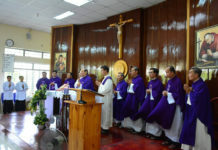 The following members of the Executive Committee were also elected: Fr. 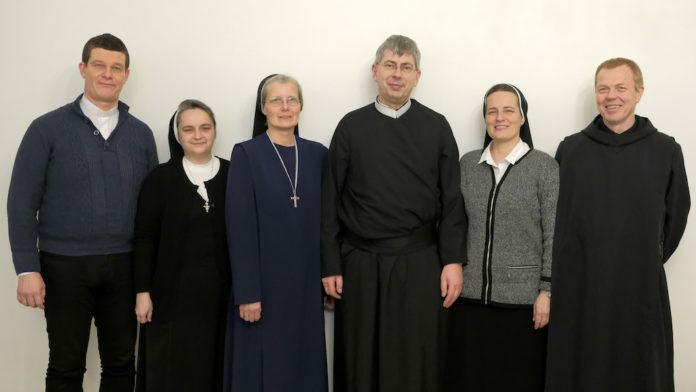 Ambróz Martin Štrbák OPraem, Sr. Rafaela Zvrškovcová OSF, Sr. Agnesa Jenčíková CJ and Fr. Vladimír Kasan OSB. Sr. Jana Kurkinová FMA was elected as the General Secretary of the Conference, and Sr. Marta Chraščová CSSsS as the Assistant Secretary and Treasurer. The members of the Conference, representing 2,508 Religious, men and women, living in Slovakia, also approved the incorporation of the KVRPS to The Union of European Conferences of Major Superiors (U.C.E.S.M. 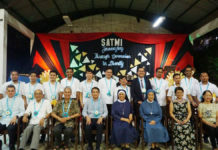 ), that gathers 39 national Conferences representing the Major Superiors of Apostolic Religious Institutes from 28 European countries, i.e. Approx. 250,000 Religious, men and women.